I was there for four hours, but it took me about four seconds to decide that I should live on Bagley Avenue, worship on Chapel Lane, work on Burbank Avenue, eat on Main Street, shop on Mill Road, make friends on Maple Lane and spend my leisure time on Christie Street. If I could, I’d track down and restore the 1920 Model T Ford that my grandfather drove to California in 1929, pack it up, and move to Greenfield Village, the open-air museum in Dearborn, Michigan. 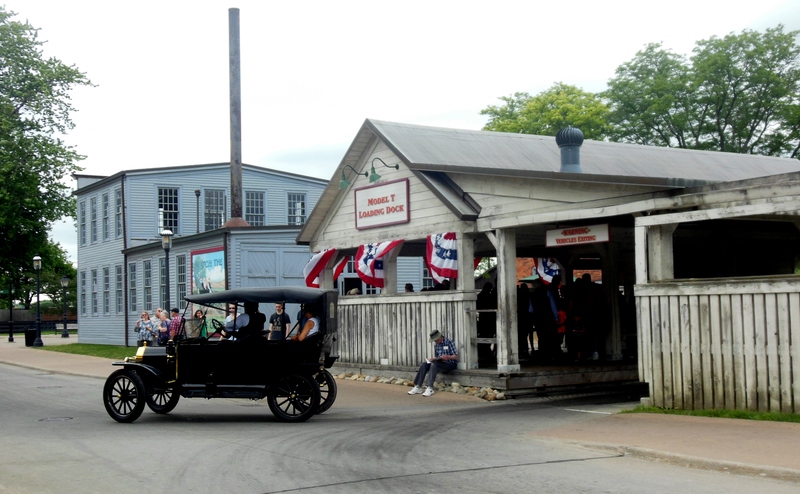 The village is the creation of Henry Ford, who was driven to create an affordable, high-quality automobile so that Americans from all walks of life could go anywhere. After his gasoline-powered Model T rolled out of the Ford factory in 1908, it became so popular that people like my grandfather started using it to explore our great country. Not long after, roads improved. Filling stations, car dealerships, parking lots, garages, motels and shopping centers started popping up in communities. Our model interstate highway system followed. Despite his revolutionary contributions to society, Ford believed that rural values should not be forgotten — and that American resourcefulness and innovation should be discovered, celebrated and preserved through everyday artifacts and buildings, not just through reading history books about wars and politics. 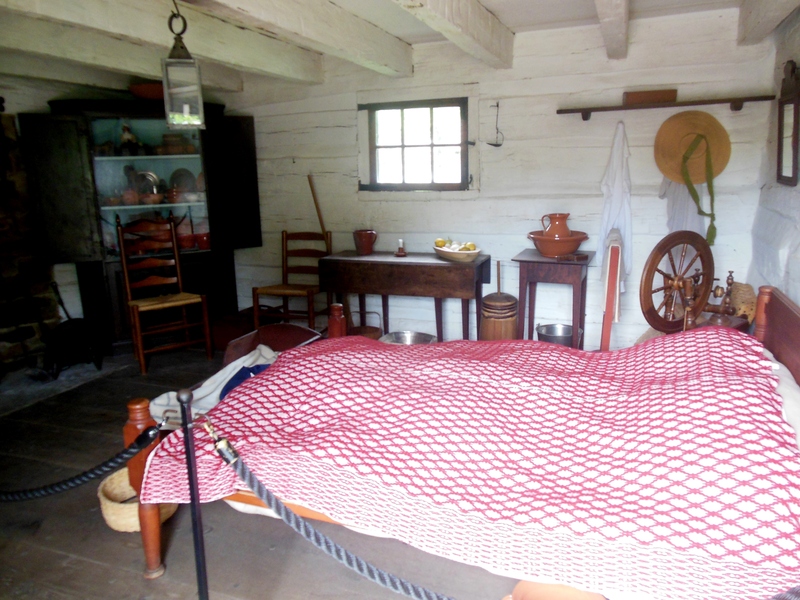 While other wealthy men of his day were amassing fine artworks and restoring historic sites like Virginia’s Colonial capital, Ford rounded up as many common objects as he could find, each telling the story of everyday life in America. He sought out cars and tractors, radios and kitchen appliances, as well as objects from his childhood, that reflected a way of life that was slipping away. He collected artifacts connected with his personal heroes. And he acquired things that he just plain liked. He intended to display his collection in two separate places. One was in a museum that would display artifacts and machines showing technological and cultural progress. 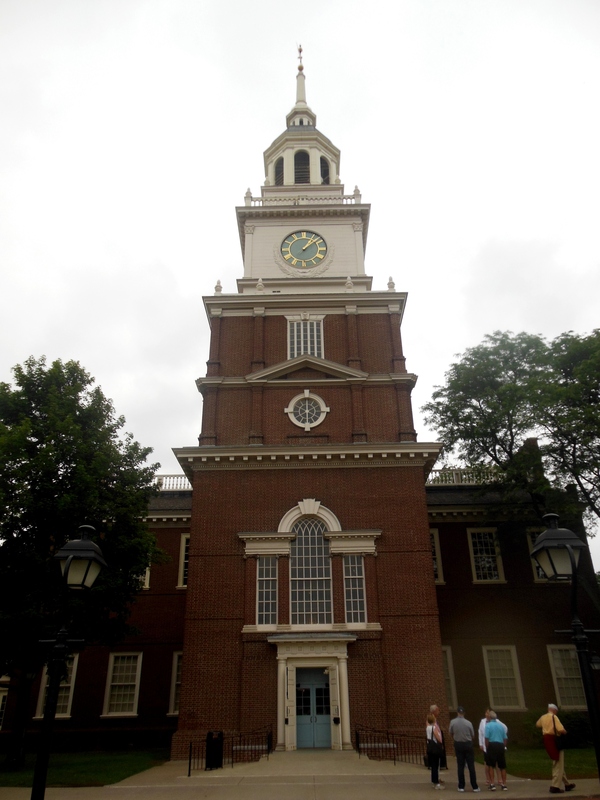 First named The Edison Institute when it opened in 1929, The Henry Ford Museum is housed in an exact copy of Philadelphia’s Independence Hall. It contains an exceptional collection of decorative and mechanical arts, from furniture and appliances to industrial and agricultural equipment. Highlights include the chair Abraham Lincoln was sitting in when he was assassinated; a glass test tube said to contain Thomas Edison’s last breath just before he died in 1931; the Oscar Mayer Wienermobile; the limousine in which President Kennedy was riding when he was shot; a silver coffeepot made by Paul Revere; creations of Mid-Century Modern designers Charles and Ray Eames; and Buckminster Fuller’s Dymaxion House, a mass-produced and prefabricated circular aluminum dwelling with panoramic windows, a central vacuum-cleaning system, revolving closets, electrically operated retractable cupboards, and a rotating ventilator for air circulation. The other was a village in which these objects were made and used, populated by the homes and workshops of American craftsmen, farmers and inventors who shaped the world we know today. Envisioning an educational setting in which young people would learn by doing, Ford wanted to create a central greenspace surrounded by a church, an inn, a town hall, a school, offices, shops, and a courthouse. Other features would include a working farm; mills; barns, including one built by Ford’s father; railroad-related structures; and a covered bridge. 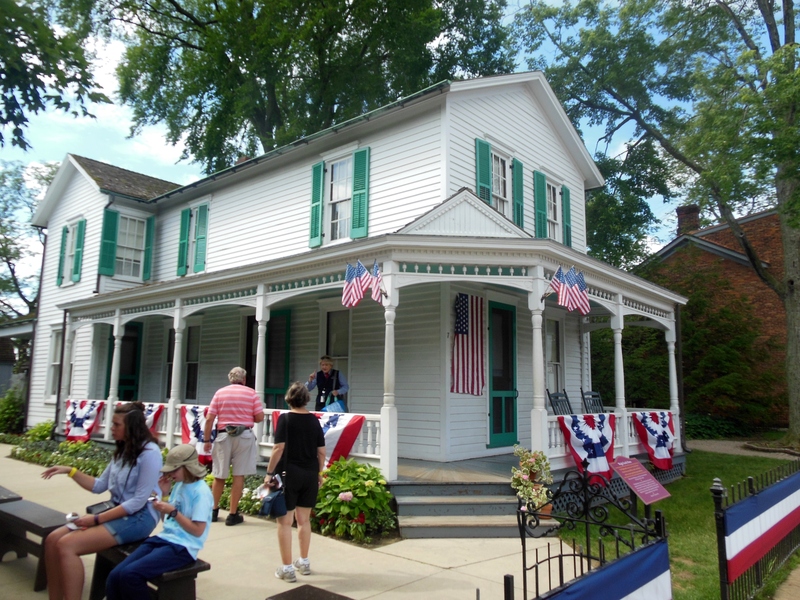 Historic districts would be home to several relocated buildings that reflected Ford’s life’s history, were associated with his personal heroes, and those that appealed to him. For the site of his village, Ford chose 260 acres of vacant land sitting a little over a mile from his famous River Rouge Factory complex. He christened it Greenfield Village, after Michigan’s Greenfield Township, where his wife, Clara, was born. Exploring Greenfield Village is a breeze, especially in one of the restored Ford Model T’s and other vintage automobiles darting around the picturesque streets. Queue up at the loading dock for your chance to experience the car that swept the world. First stop: Henry Ford’s birthplace. Built by Ford’s father, an Irish immigrant farmer, in 1860, the home originally was located about 10 miles west of Detroit. In 1919, when construction of a new road threatened to destroy it, Ford had it moved about 200 feet from its original location. He began restoring it inside and out, ensuring everything was exactly as he remembered. He even ordered an archaeological excavation of the soil, which unearthed the ice skates he had as a boy. For 18 months, he tracked down as much original furniture as he could find, including conducting a nationwide scavenger hunt for a dining room stove like the one that was in his boyhood home. He found it on a Stockbridge, Massachusetts porch and bought it for $25. Always curious about how anything mechanical operated, young Henry tinkered with toys, built a waterwheel and steam turbine with other boys at school, and putzed around with handmade tools at the bench that stands under the window, next to the stove. The teenaged Henry fixed pocket watches at a jewelry store, which he also relocated to Greenfield Village. Today, it contains his personal watch collection, as well as the watchmaker’s bench on which he often worked. As a young man, Ford graduated to tinkering with steam engines, inventing machinery that would make farm life easier, and dreaming of finding new industrial uses for farm crops, such as using soybeans to make paint, soap and linoleum. To learn more about electricity, he worked for Thomas Edison as an engineer.Walk down the street to discover more about the achievements that brought Ford fame. Inside a scaled-down version of the Ford Motor Company’s first factory — where men worked on four cars at a time and hoped to assemble 15 cars a day — there’s a replica of the 15-millionth Ford. Tacked on the walls are inspirational quotes from Henry, such as “The person who says he is overworked is usually working the wrong way” and “No one really fails, who does his best.” Ford was intent on accurately recreating these places. To build a replica of the shed in which he built his first automobile — the 500-pound Quadricycle that went 20 miles an hour, with four oversized spoked wheels, no reverse gear and no brakes — in 1896, he had bricks taken from a wall of the Detroit home he rented at the time. 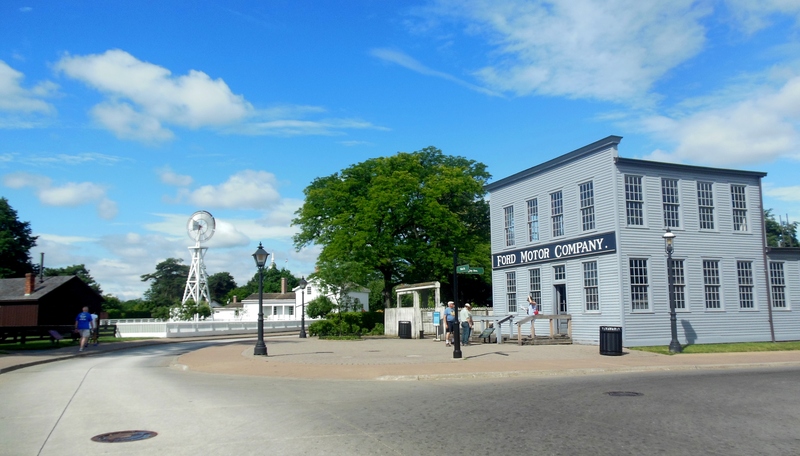 It didn’t take long for me to get thoroughly revved up about Greenfield Village, especially when the purpose of my visit there came into view. There it was: the Dayton, Ohio home where Wilbur and Orville Wright grew up — and where they did much of the design work for the airplane. Three years ago, I visited 7 Hawthorne Street in Dayton, walking along the line of concrete blocks that indicate where the Wright family home once stood. Seeing it, along with the historic Dayton sites associated with the Wright brothers, had earned me a Wilbear Wright. 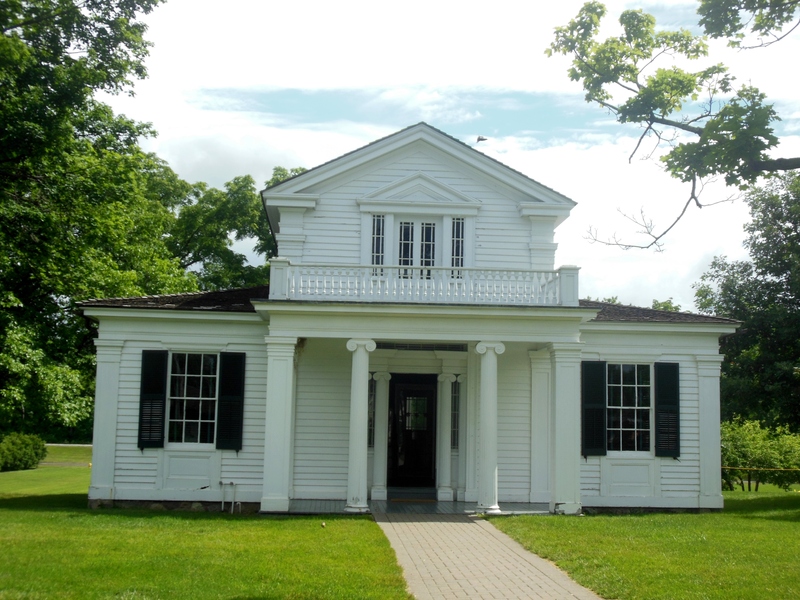 But beholding the original home in Greenfield Village, I became thoroughly revved up about Ford and his “learning by doing” approach to history. Built in 1871, the Wright family home remains as it was when the famous brothers modernized it around the turn of the 20th century, when they designed and constructed its front porch, staircase, ceramic-tile fireplaces and indoor plumbing, but decided to maintain gas lighting, instead of converting to electricity. It contains much of its original furnishings, including the family’s rolltop desk, parlor rockers, mantel clock and bookcases. 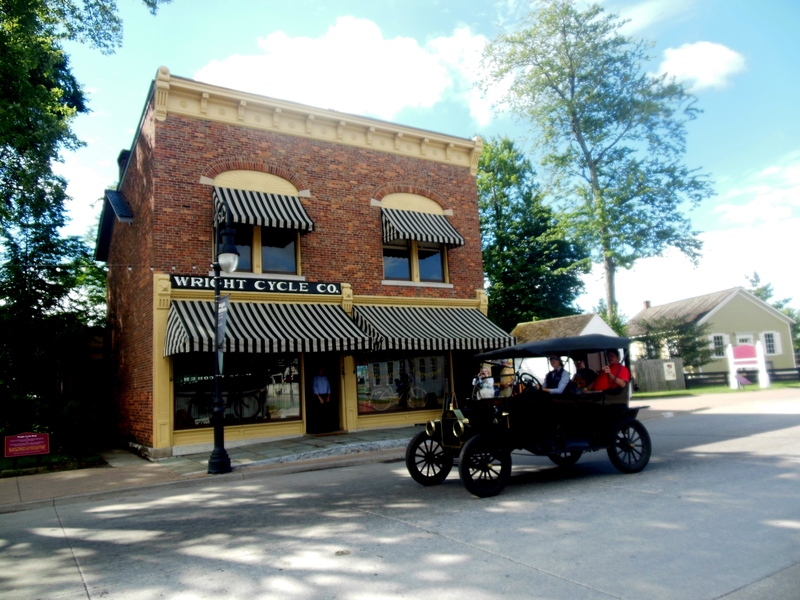 Wilbur died in the house in 1912; in 1938, Orville supervised the project to move the home and the original Wright Cycle Company building to Greenfield Village. Next door, there it is – the place where the Wrights manufactured, sold and repaired bicycles between 1897 and 1907. Here, they also designed and built early gliders and planes, including the historic craft that flew at Kitty Hawk, North Carolina in 1903. Everything appears as it did then, from most of the original machinery and office furniture to the only Wright-made St. Clair bicycle known to exist. 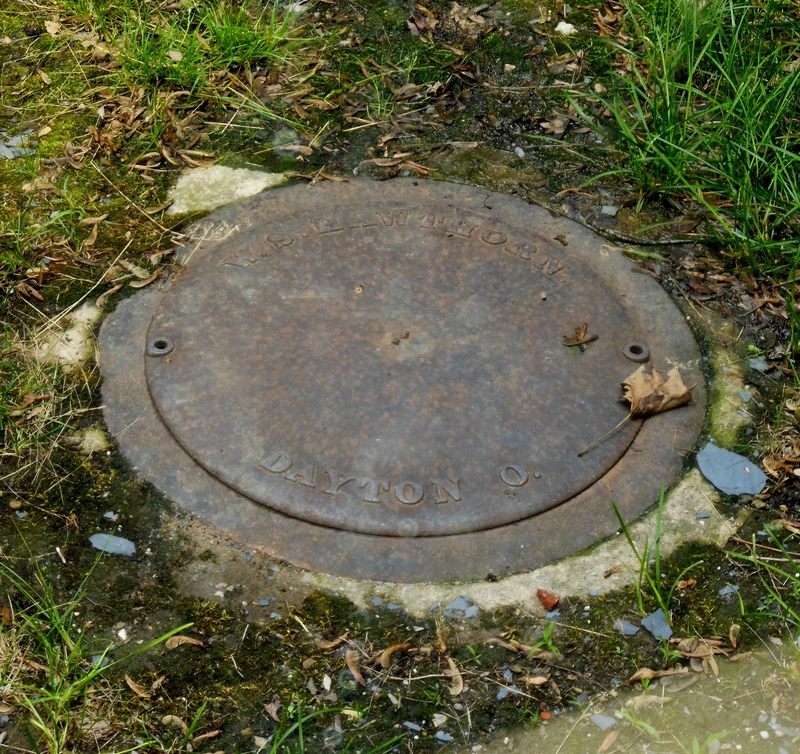 Again, Ford’s zeal for accurate recreation led him to take everything down to the manhole cover that once was on Hawthorne Street, in front of the Wright home. Look out the window and you’ll see it, now firmly anchored in Michigan soil. The Wright brothers may have been two of Ford’s heroes, but one historic district at Greenfield Village commemorates the inventiveness of a third: Thomas Edison. 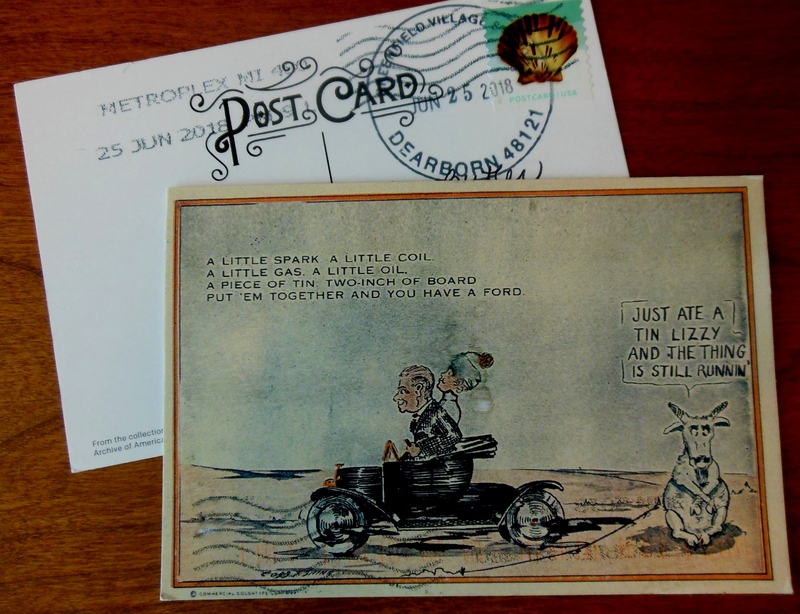 En route to “Edison at Work,” stop by the circa-1825 post office from Phoenixville, Connecticut to purchase a reproduction of an early-20th-century postcard from The Henry Ford’s collections and have it hand-canceled with a special Greenfield Village postmark to be mailed home. Proceed to a recreation of Edison’s Menlo Park, New Jersey complex, where you can imagine him and his colleagues hard at work developing his electric lighting system, the first phonograph and many other inventions that were born in these buildings. 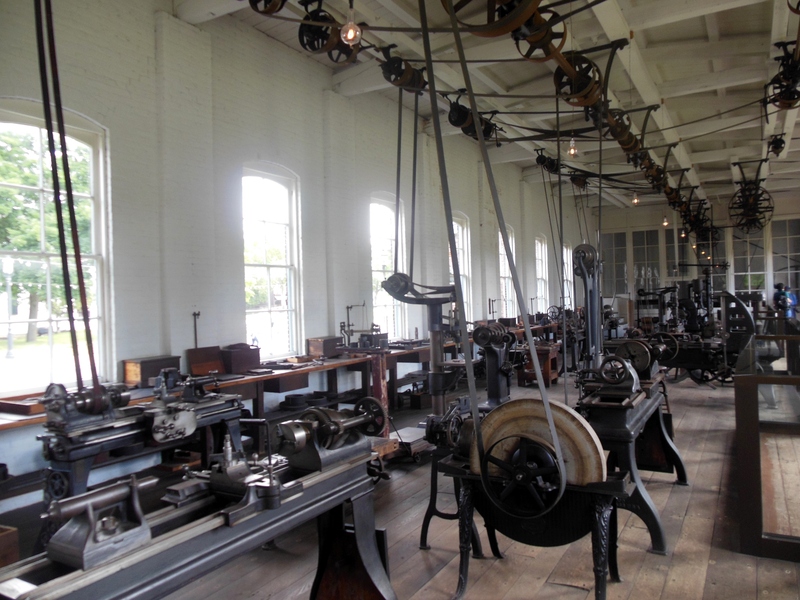 Reconstructed with some original structural elements, the complex — considered the world’s first industrial research and development laboratory — includes the machine shop, office, laboratory and glass-blowing house where the first lightbulbs were made. 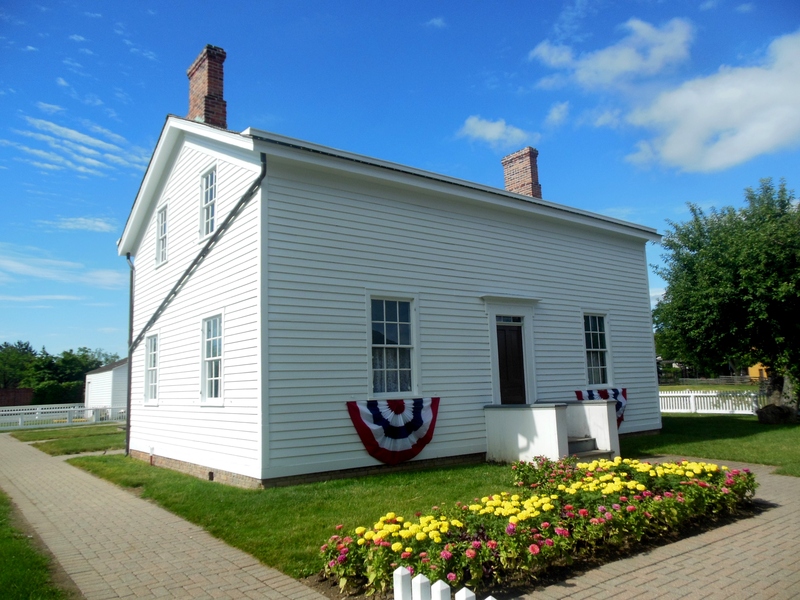 The complex was reconstructed on several train carloads of New Jersey soil that Ford had brought to Dearborn. 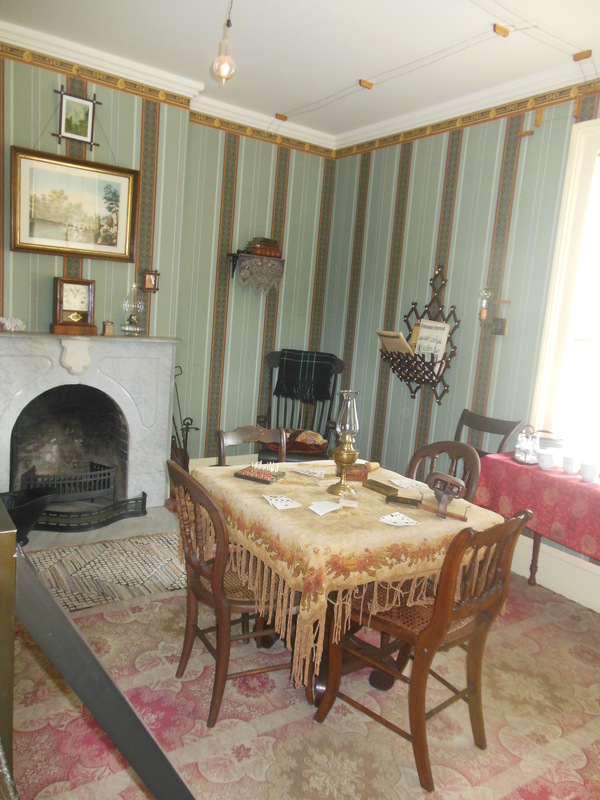 Across the street, visit the boarding house where many of Edison’s associates lived, and see the house with its replica lightbulbs and exposed wiring, just as it looked when Edison demonstrated his new lighting system on New Year’s Day 1879. Next door stands Edison’s Fort Myers, Florida laboratory, where he and his staff of botanists and chemists experimented with using goldenrod to produce synthetic rubber during winter vacations with the Fords. 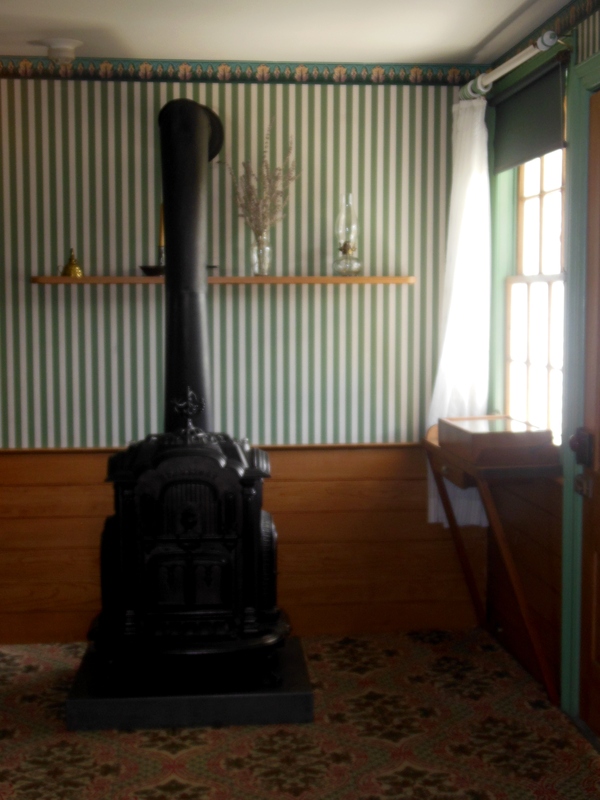 Next in view is the place where Edison spent happy childhood visits to his grandparents’ Canadian homestead, where it is said the kind couple left food on the stove when they were away so that hungry passers-by would have something to eat. Thoroughly amped up at this point, I raced over to my next must-see destination: the “Porches & Parlors” historic district. Here, I checked off the Greek Revival house where Robert Frost lived while while teaching at the University of Michigan in the 1920s. 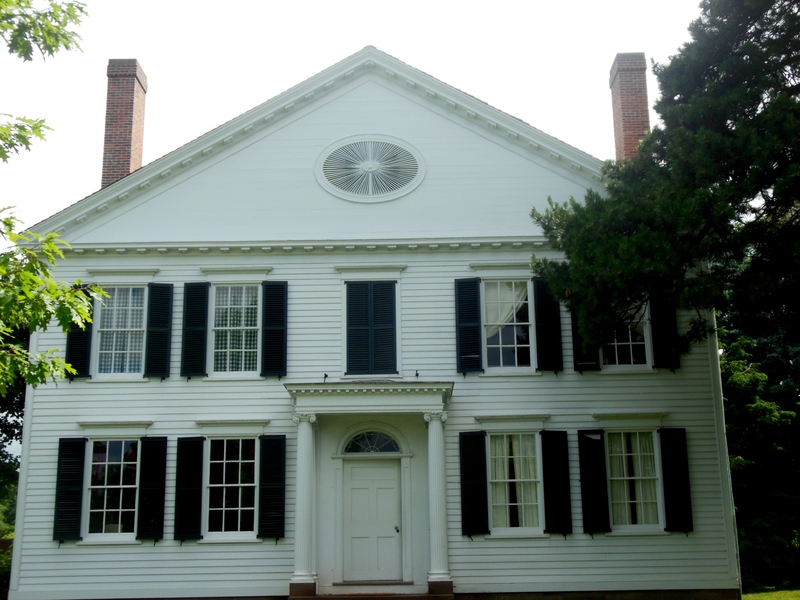 Frost wrote many poems here, including “Spring Pools.” The New Haven, Connecticut home Noah Webster built in 1823 is next door. In the upstairs study, Webster completed his American Dictionary of the English Language, which recorded distinctly American words and spellings for the first time. 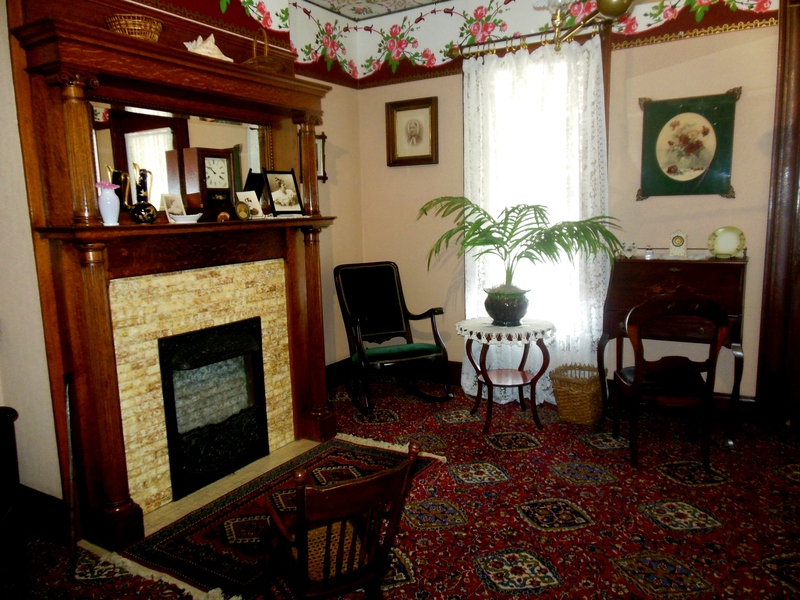 Ford saved the house from demolition; it still has many of its original furnishings. 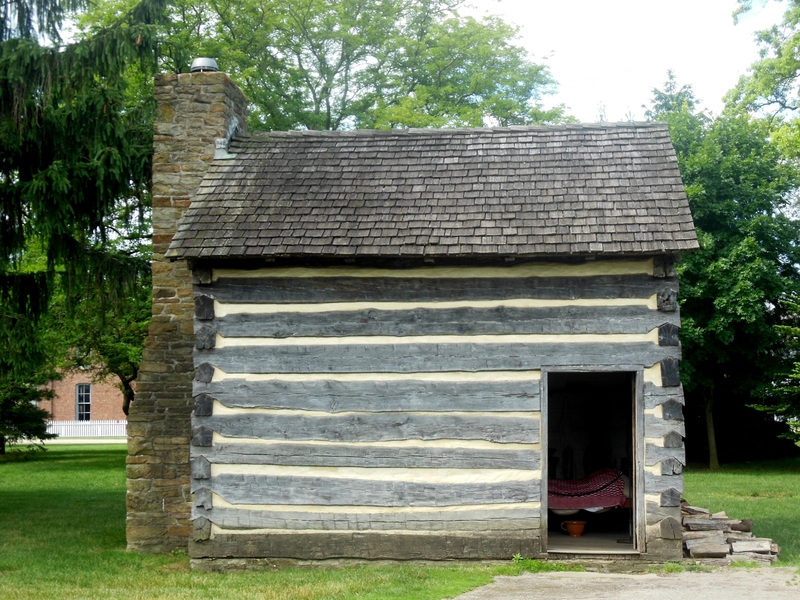 Scurrying past these two historic re-enactors… I was in hot pursuit of my next must-see attraction: this one-room log cabin. Why? This unassuming structure from Washington County, Pennsylvania is where William Holmes McGuffey, the educator who wrote the famous “Eclectic Readers” series of textbooks, was born in 1800. Entertaining as well as educational, the Readers taught children — including Henry Ford and his wife, Clara — traditional values like industry and patriotism alongside reading and writing. The Fords also collected McGuffey Readers, eventually amassing 468 copies of them that represented 145 different editions. 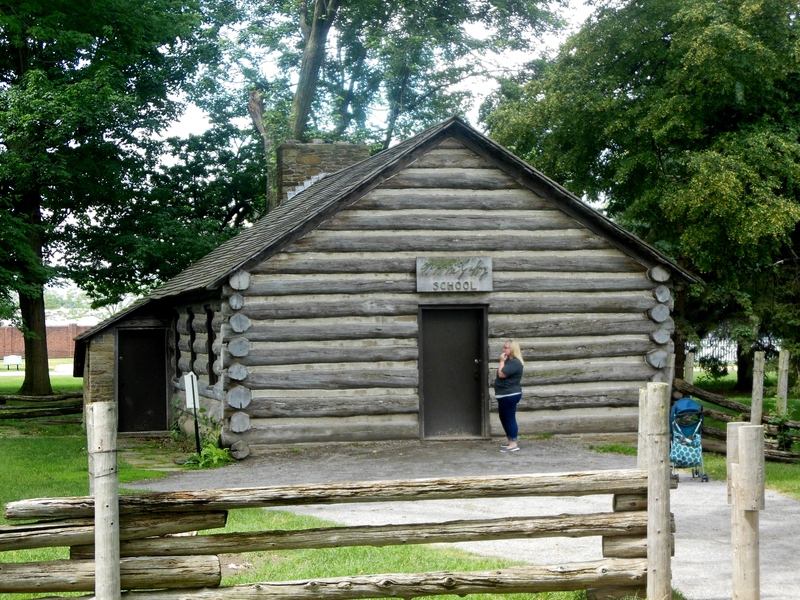 Then, using logs from the McGuffey property, Ford had a one-room frontier schoolhouse built next door to the reconstructed cabin and named it for McGuffey. An overzealous “learner-by-doer” had just ran inside, shut the door, and locked himself in, leaving his mother to learn by doing in figuring out a way to rescue him. 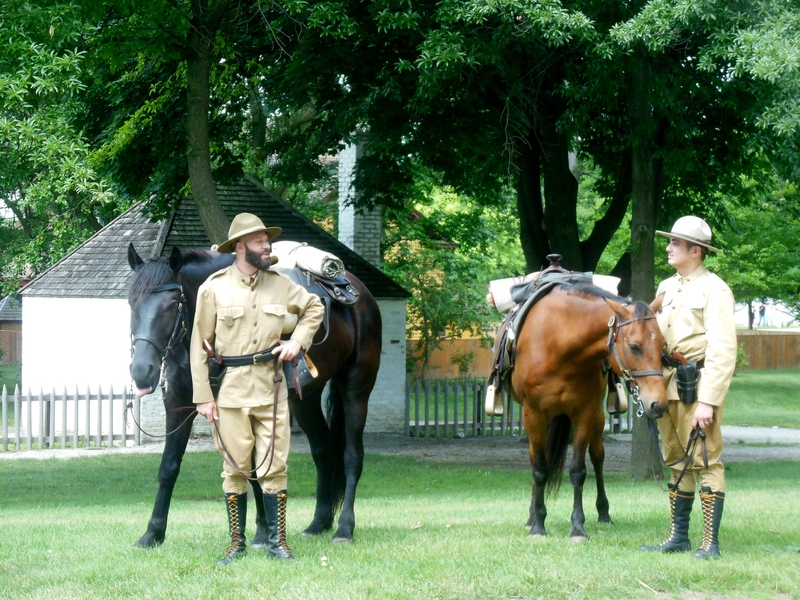 Ford’s detail-oriented approach to recreating history continues at Greenfield Village. For example, July 4 is celebrated in 19th-century style. During my visit, I noticed red, white and blue ribbons tied to the branches of trees growing beside the Ford Home. I discovered that the practice was inspired by an entry in The American Girls Handy Book: How to Amuse Yourself and Others, an 1887 book in which Lina and Adelia Beard described ways to celebrate holidays and events throughout the year. “Small trees or tall bushes covered all over from top to bottom with flags and streamers look beautiful, and all the gayer, when the wind blows, causing them to wave and flutter,” the Beards wrote. So clever! 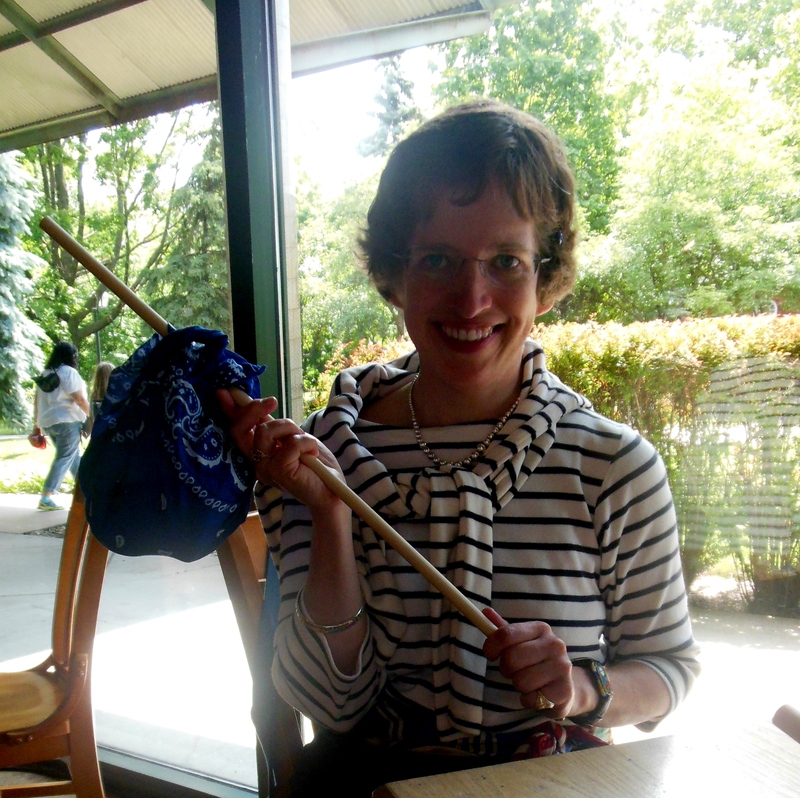 Greenfield Village even makes the day’s second square meal a memorable experience. At A Taste of History, foods inspired by historic recipes are served cafeteria-style. Load up on macaroni and cheese made from the recipe of Fannie Farmer, the culinary expert whose Boston Cooking-School Cook Book became a mainstay of the American kitchen. Try one of Abraham Lincoln’s favorite entrees – chicken fricassee – served on replica presidential dinner plates. Order baked Russet potatoes innovated by Luther Burbank, who developed new and improved varieties of fruits, vegetables and plants – and whose birthplace and nursery business office were moved to the Village. I opted for the “Hobo Lunch,” a cleverly packaged midday meal that brings to mind the homeless Americans who rode the rails in search of work during the Great Depression. And the shopping! 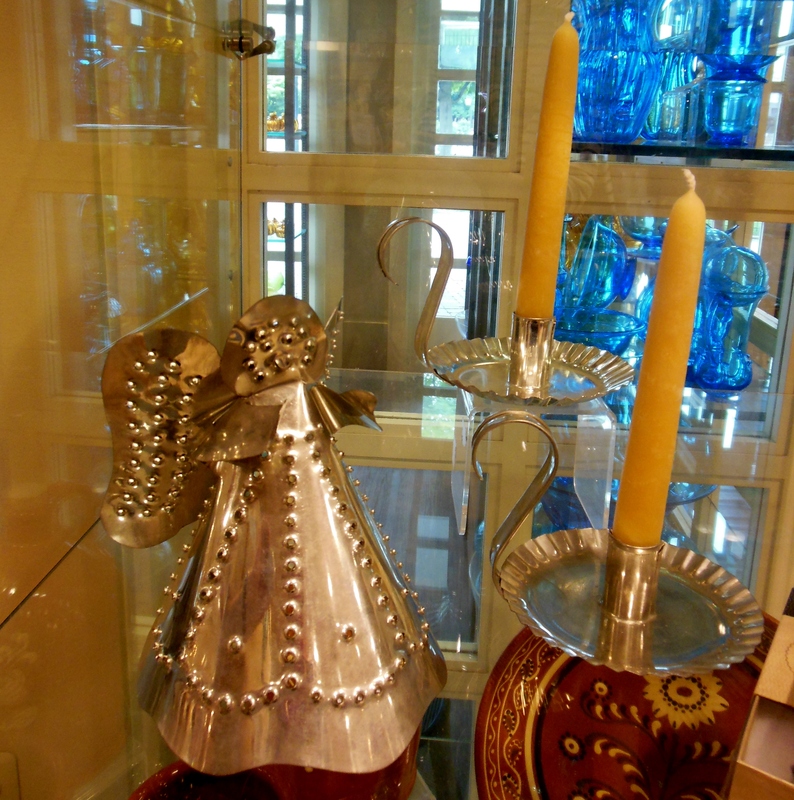 At the Liberty Craftworks Store, you can purchase redware and stoneware pottery, glassware, printed material, weavings and punched-tin items, all handcrafted by Greenfield Village artisans. In The Henry Ford’s gift shop, take home a loaf of Ramblin’ Raisin & Walnut Hobo Bread, ingeniously baked in a can, just like the resourceful hobos did. Discover, as I did, The World of Charles and Ray Eames, edited by Catherine Ince with Lotte Johnson. Historic preservationists might cringe about removing buildings from their original sites, and museum curators might question Ford’s storage technique of exhibiting everything in rows on his museum’s teakwood floor so that visitors could study how design and technology evolved over time. But this was very much his personal project, and he did it his way. The result is tremendous. “When you once get an idea in which you believe with all your heart, work it out,” Ford once said. My idea is to get back to Dearborn as soon as I can. Over the years, The Henry Ford Museum’s staff have prepared several editions of guidebooks to Greenfield Village and the Henry Ford Museum. To discover more about this exceptional place, read A Home for Our Heritage: The Building and Growth of Greenfield Village and Henry Ford Museum, 1929-1979, and An Illustrated History of Henry Ford Museum and Greenfield Village, both by Geoffrey C. Upward; Telling America’s Story: A History of the Henry Ford, edited by Judith E. Endelman and Wendy Metros; Henry’s Attic: Some Fascinating Gifts to Henry Ford and His Museum, by Ford R. Bryan, edited by Sarah Evans; American Ingenuity: Henry Ford Museum and Greenfield Village, by James S. Wamsley; “History Is Bunk”: Assembling the Past at Henry Ford’s Greenfield Village, by Jessie Swigger; Henry Ford Museum: An ABC of American Innovation, by Wes Hardin; and “The Past Is Present in Greenfield Village,” an article by Beverley M. Bowie in the July 1958 issue of National Geographic magazine. Create your own historic replica textiles from The Henry Ford’s collection with Quilts from The Henry Ford: 24 Vintage Quilts Celebrating American Quiltmaking, by Fons & Porter. Browse The Henry Ford’s Historic Recipe Bank. Watch Made in America: The Henry Ford, part of the Great Museums series of DVDs. And tune in to The Henry Ford’s Innovation Nation, a weekly Saturday morning show on CBS that showcases present-day innovators and features one item from the museum’s collection. For a quick read on Henry Ford, check out Driven: A Photobiography of Henry Ford, by Don Mitchellin. Other books I read about the Fords include Friends, Families & Forays: Scenes from the Life and Times of Henry Ford and Clara: Mrs. Henry Ford, both by Ford R. Bryan. This entry was posted in Food/Restaurants, History, Michigan, Museums, Shopping, Special Collections, Travel. Bookmark the permalink. Great memories of working in Greenfield Village the summer between graduation from Edsel Ford High School and my first year at University of Michigan. My parents owned a home in the Ford Foundation just a couple of miles from the village. Thanks for taking me back!